DTC’s Special Role Radio (SRR). 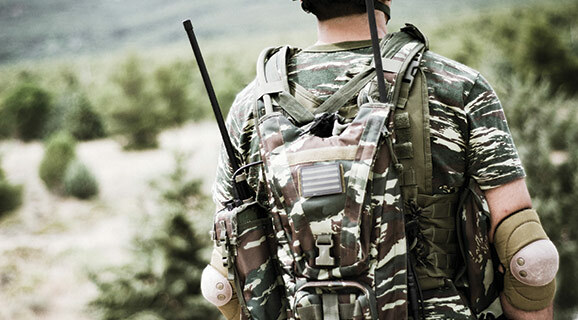 Domo Tactical Communications (DTC) has seen strong military interest in its mobile ad hoc network (MANET) technologies, with the company preparing to launch a new, compact radio for soldiers later in 2018. MANETs effectively provide soldiers with the same service they would expect from fixed network and communications infrastructure, though the associated equipment – including radios and antennas – can be transported on the move. They allow data to be routed efficiently across all possible paths, said Neil McSparron, chief technical officer at DTC. “For example, a soldier wouldn’t need a direct radio connection back to the command vehicle, so long as there is a connection through a combination of the nodes in the network,” McSparron explained. DTC provides a range of products in the area under its DTC Mesh brand, ranging from equipment for unmanned aerial, surface and ground vehicles to systems designed for use by soldiers. For example, it provides a 200mW radio that weighs a few hundred grams, as well as a robust tactical radio that weighs just under a kg. These systems have been deployed with a number of Special Forces users, while the wider DTC Mesh family is in service with explosive ordnance disposal (EOD) robots, drone communications links, and other areas. “We are now seeing significant interest from the broader military user community,” McSparron added. real time situational awareness, Mesh Network in a Backpack. DTC continues to upgrade its mesh systems with more frequency options, faster data rates, and higher maximum numbers of nodes, McSparron said. Later this year the company will launch its new Special Role Radio (SRR), a product aimed specifically at dismounted personnel. This has a familiar “soldier radio” form factor, McSparron said, a battlefield-optimised user interface, built-in GPS, support for standard batteries, pouches and charging accessories. It can be handheld, placed in a backpack or mounted on body armour. DTC has worked in MANET systems for over a decade, having started development in 2008 and shipping its first high-capacity mesh products to customers the following year. Since then the DTC Mesh has evolved from a network that could carry up to 3 Mbps of payload IP data to one that could provide up to 50 Mbps. enabling them to validate the target and necessary action. When part of a MANET, soldier-carried nodes automatically mesh with each other and with fixed, vehicle-carried and airborne nodes; the result is a self-forming and self-healing battlefield network, McSparron said. He added that the mesh units can connect a range of different camera types, while the standard and high definition encoders provide a high level of integrated capability. DTC Mesh is focused on tactical applications, with a range of different form factors suited for vehicle, aircraft, and personnel, as well as for use in fixed base stations. It is built from the ground up using the company’s Coded Orthogonal Frequency Division Multiplexing (COFDM) mesh technology and channel access mechanisms, and was designed specifically to meet the mission critical needs of the tactical user. 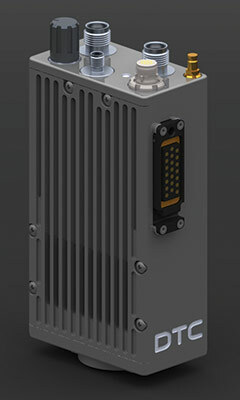 “DTC’s technical ability to design waveforms from scratch – based on the team’s history in developing the world’s first COFDM digital TV systems – means that the DTC waveform has been tailored for exactly the type of radio-frequency environment encountered by the warfighter,” McSparron said. Looking forward, McSparron envisages three major areas of development for MANET technology in the coming years. First, he expects to see higher data rates “to meet the needs of emerging situational awareness and data fusion applications”. Second, he pointed to more efficient spectral utilisation. The spectrum reserved for soldiers is shrinking worldwide, he said, so systems need to be more efficient at exploiting the available bandwidth. Finally, he highlighted the critical need to “continue outpacing adversaries when it comes to data security and jamming resistance”. The company has seen an increasingly educated user base over the years, demanding real-world trials in realistic scenarios. This plays to DTC’s strengths, McSparron said.